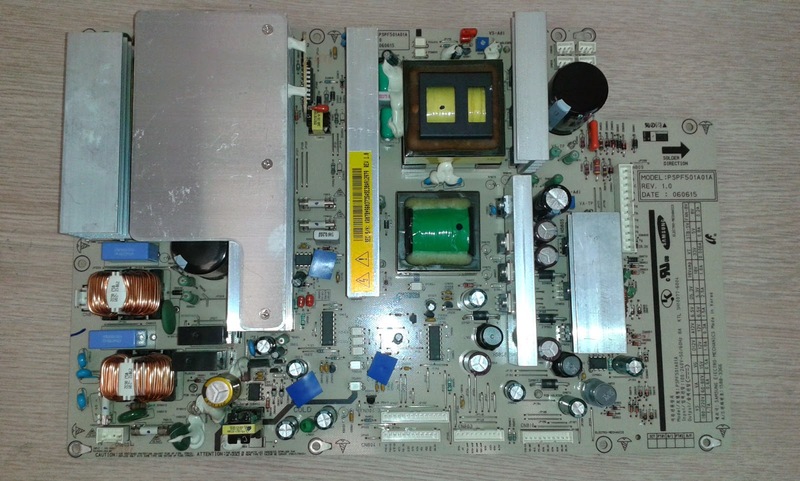 A customer brought in an old Samsung HPS5053X/XAA. We've repaired and sold a lot of Y-Main boards for this TV in the past , but when we moved to our current location in the middle of 2014 we broke our own unit and haven't been able to repair and sell those boards anymore. So naturally we assumed the problem was in the Y-Main, but it wasn't. We tested the board in-place (in the TV) and it was lacking 5V standby. All fuses tested out good and we had to take it out for further investigation. 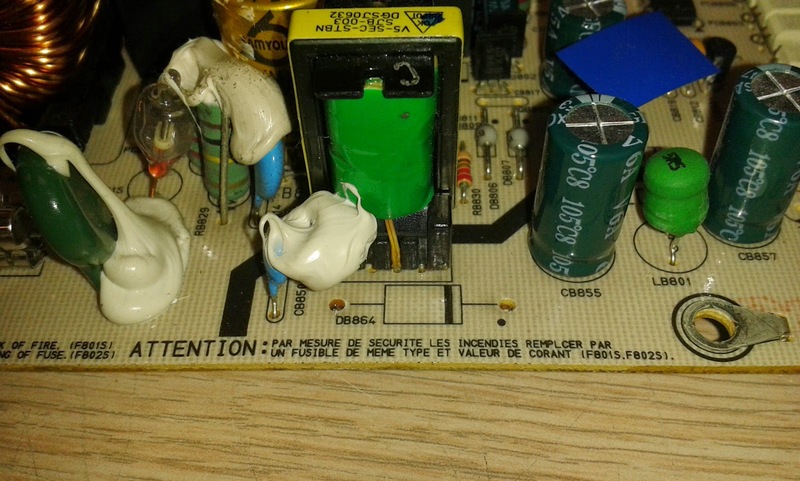 All power components tested good and there were no visibly bad electrolytic capacitors. We ended up finding the rectifier for the standby voltage output being shorted. 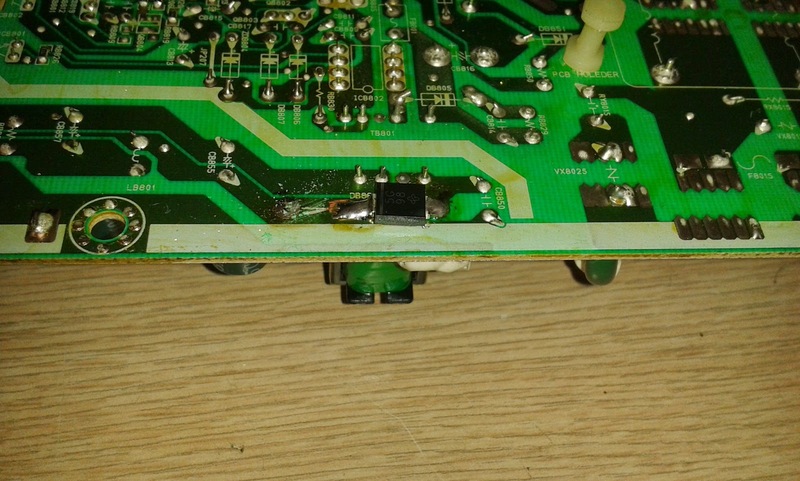 On the above picture the diode is already taken out of the board, sorry. It was SB5H100, which is a 100V / 5A rectifier. It doesn't need 100V on the secondary side of the standby and frankly I am surprised it needs 5A, but if they used it then probably there was a good reason for it. The board worked just fine afterwards and so did the TV. Hope this helps someone save $100 or so for a replacement board.